Essex Heating - Central Heating Engineer based in Hockley, Essex. 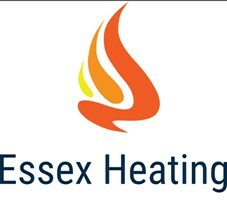 Essex heating, is a trusted family run business. We are gas safe registered and dedicated to the highest standards in every aspect of performance, with over 20 years experience in the trade. We are based in Hockley, Essex and cover Rayleigh, Rochford, Wickford, Basildon, Benfleet, Canvey Island, Hullbridge, Southend-on-Sea, Leigh-on-Sea, Chelmsford and surrounding areas. Please call us on the details listed above for a free quote and we will be more than happy to assist. Hockley, Canvey Island, Colchester, Southend-on-Sea, Rayleigh, Rochford, Wickford, Basildon, Benfleet, Hullbridge, Leigh-On-Sea, Chelmsford, Thorpe Bay and surrounding areas.